The Mill is located in between Keymer and Ditchling, just south of Burgess Hill. The address is Oldlands Lane, Hassocks, BN6 8ND. There is no parking at the mill, but it’s a pleasant 15 minute stroll up from the eastern end of Grand Avenue, at the junction with Ockley Lane with parking near the Thatched Inn Pub. Turn right into the first road on the right as you head north along Ockley Lane, which is Mill Lane (but may not named on some maps). Continue along Mill Lane past Oldland Cottage and the mill is then 100 yards further on. 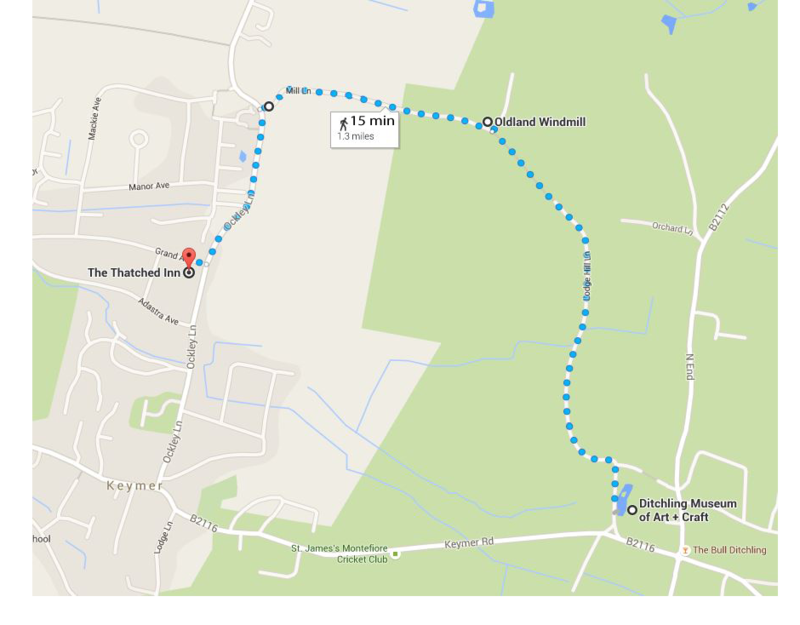 From the East, you will find the mill at the other end of the footpath which starts in Lodge Hill Lane, Ditchling. * NEW FOR 2019 – a complimentary mini bus will be available at ALL Open Afternoons and Event Days. Please find the mini bus meeting point on Grand Avenue, Hassocks, opposite The Thatched Inn.